The potential environmental impacts were a concern of the Laborial, and early the company sought to find opportunities to reduce our footprint. With this concern, since 2015, Laborial is a formally certified company by standard ISO 14001 that provides practical tools to manage our environmental responsibilities. We assume a life cycle analyses as needed, as well as environmental challenges such as climate change. 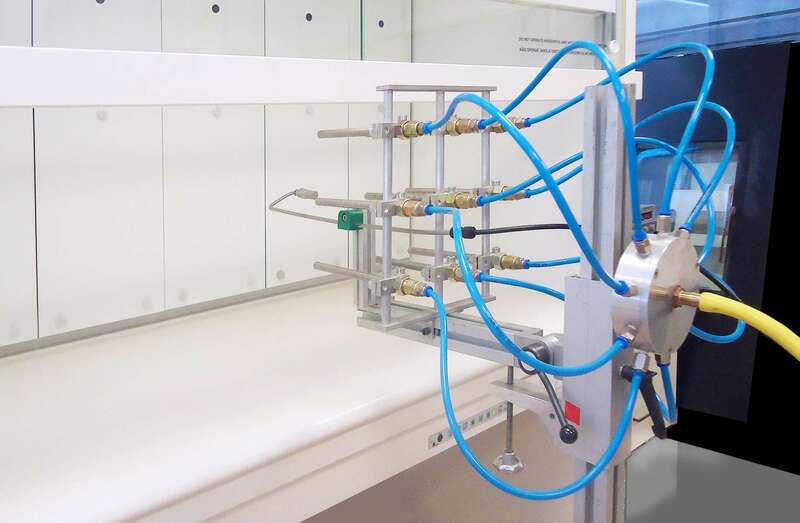 The energy consumption of equipment and buildings is, increasingly, a concern present in daily routines, and is also important of the performance of the laboratory spaces. In any modern laboratory, fume cupboards are a fundamental element to realize tests of high hardness and risk, ensuring the security required in such spaces. 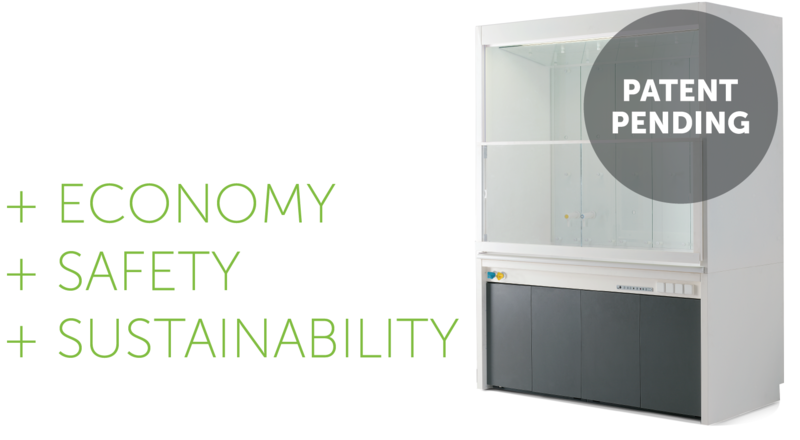 These, fume cupboards equipment, because of the high energy consumption in operation, are a relevant focus to consider when it comes to defining a sustainable consumption strategy for a laboratory environment. Laborial developed and patented an innovative technical solution system for fume cupboards to reduce the consumption needs – AHMAR GREENFLOW. The solution was developed by a highly specialized engineering and design team that use an air injection system based on injection of air at strategic points inside the fume cupboard, which has a highly positive effect in fluid flow efficiency. This new equipment contributing on the one hand in the reduction of the exhaust flow rate, with the decrease of extraction air flow up to 35%, on the other hand reducing the need for air-conditioned air insufflation in space. The Ahmar Greenflow has good results and allowed Laborial to equip important laboratories in Europe, where environment sustainability is very present. With this, is possible stimulate others customers for a concern with the sustainability of buildings and the world.